The Tunguska Event, 100 years on. This week’s New Scientist has a superb feature on the current state of research on the Tunguska event. Just to refresh your memory, on 30 June 2008 an explosion 1000 times more powerful than the nuclear detonation over Hiroshima incinerated the sky over the northern half of our planet. 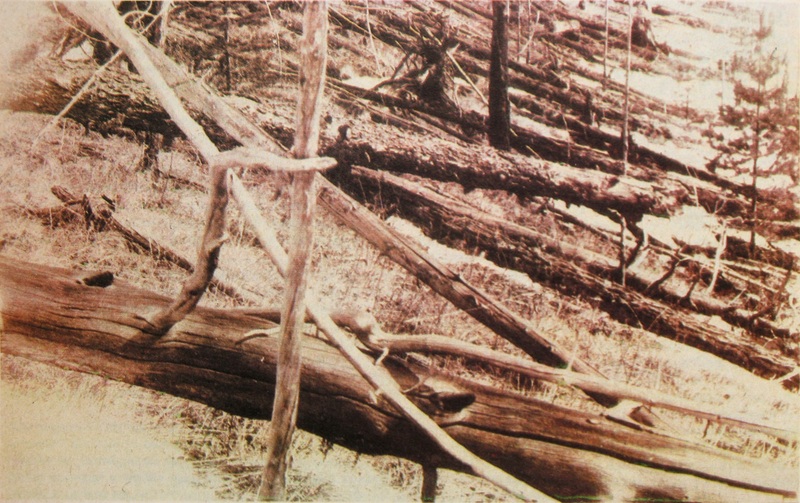 Originating somewhere above the Tunguska river in Siberia, it knocked down trees over an area of 2000 square kilometers. This week, a bunch of scientists will be meeting in Moscow to discuss the current state of knowledge about this immense event. The theories are mindboggling. There’s the usual UFO theories, the more plausible explosion of an asteroid, and the intriguing idea of the ‘Verneshot‘: with other words an ‘Earth Burb’, in which a large bubble of C02, accumlated via vulcanic activity, suddenly gets released, spewing toxic gases and large chunks of matter into the atmosphere. And why am I interested in all this?